In Berlin, Washington or Brussels we say “Ukraine,” but within 30 seconds we are talking about Putin, NATO and the EU. So let us consider, for once, the struggle for Ukraine, by Ukrainians, inside the majority of its territory still actually controlled by Ukraine. Even if there were no war, this would be a daunting task, for there is a breathtaking scale of corruption and oligarchic misrule, which has deformed the state ever since it gained formal independence nearly a quarter of a century ago…. We must understand that Putin is unlikely to be content with just a “frozen conflict” in eastern Ukraine…. He wants a simmering conflict, one that ensures the whole of Ukraine remains a weak, unstable, dysfunctional state. Our job, as Europeans, is to prevent him achieving that objective. Yet at best, we can only create the conditions in which the Ukrainians themselves may seize the opportunity created by this crisis, and build a new Ukraine. 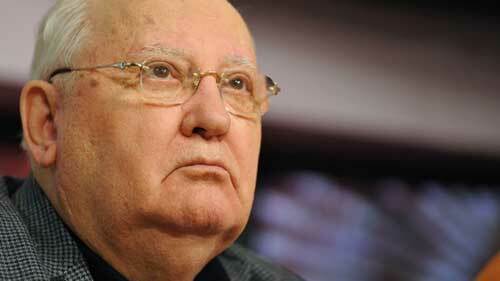 Mikhail Gorbachev has accused the US of dragging Russia into a new Cold War. The former Soviet president fears the chill in relations could eventually spur an armed conflict. “Plainly speaking, the US has already dragged us into a new Cold War, trying to openly implement its idea of triumphalism,” Gorbachev said in an interview with Interfax. The former USSR leader, whose name is associated with the end of the Cold War between the Soviet Union and the United States, is worried about the possible consequences. “What’s next? Unfortunately, I cannot be sure that the Cold War will not bring about a ‘hot’ one. I’m afraid they might take the risk,” he said. Gorbachev’s criticism of Washington comes as the West is pondering new sanctions against Russia, blaming it for the ongoing military conflict in eastern Ukraine, and alleging Moscow is sending troops to the restive areas. Russia has denied the allegations.